← TRC #249: Oak Island Money Pit + Teddy Wilson + Do Cell Signals Go To Space? Episode 250 of The Reality Check is better than the previous 249 episodes COMBINED! Darren leads things off with a discussion of whether or not drinking alcohol increases the chances of a woman getting breast cancer. 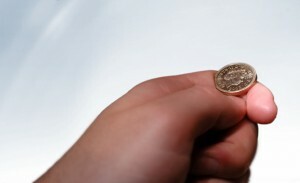 Elan then looks into the true odds of flipping a coin, as well as some other odds that aren’t as they may seem. Pat closes things out by revealing whether or not a recent viral video is real or not. Scientific American – Is a pregnant woman’s chance of giving birth to a boy 50 percent? Great show! I believe it was Darren who asked if there were any skeptics in Barcelona. I’m from Denmark but currently in Barcelona (have lived here for 8 years). I’m not aware of any current Skeptics In The Pub events (there have been some previously) but please let me know if you’re interested in checking out some pubs/bars anyway 😉 I’ll be here until June 30.